The LiftMaster SCS 300 is a fast and reliable motor which offers heavy duty function without the hefty price tag. The SCS 300 has an accelerated opening speed of just 10 seconds to 90 degrees making it an ideal solution for those with driveways on busy roads. 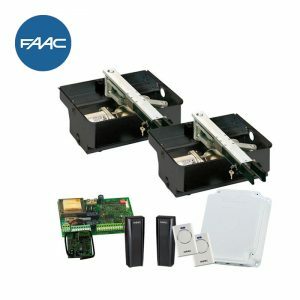 Using the supplied mounting brackets, these electric gate motors attach to the back of your gates and also the posts or columns to either side. Contained in an anti-corrosive cast aluminum housing, they have a cover screw deign so that you do not see any moving parts. This is a strong and sleek operator that will not detract from the overall look of your electric gates. It is supplied with adjustable hard stops this makes it an ideal gate opener for swing gates on sloping driveways where it is impossible to install external ground stops. This makes standard installations an easier job too. This is, without doubt, a heavy duty electric gate kit without the hefty price tag and is suitable for most types of entrances. It can be installed on any type of iron gate within the operating limits but cannot be used on closed boarded gates due to the pressure exerted on them in windy conditions. 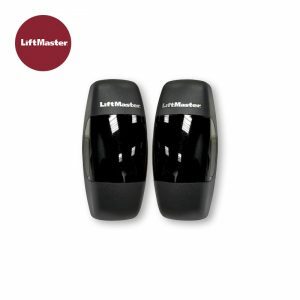 As with all LiftMaster motors, the SCS 300 is very reliable and requires little maintenance once installed.